In this week's episode of Power Hour, the ISD Power Hour crew discuss Saturday's victory over Stanford. Which players stood out on Saturday? What did we think of the offensive and defensive game plan? How good can this Notre Dame team be? What potential problems does Virginia Tech bring on Saturday? Which game do we feel will be the most difficult left on the schedule? Find out the answers to these questions and more in this episode of Power Hour. If you're not a member of our Patreon Overtime, you can get an extra 20+ minutes of Power Hour by signing up below. 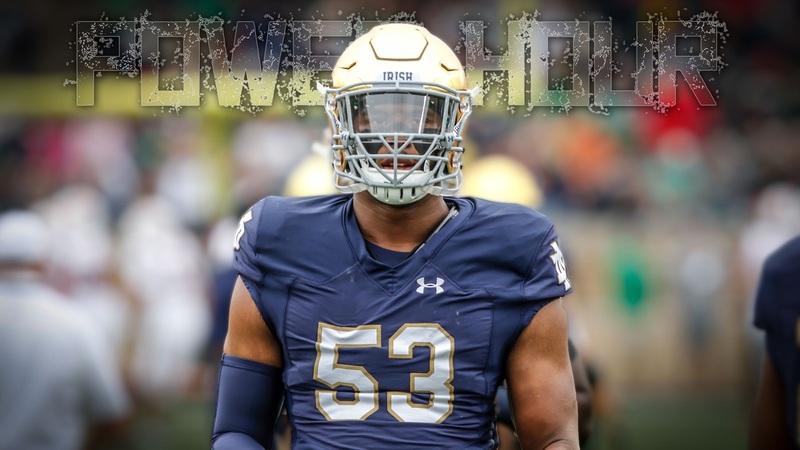 This week Bill Regean grades Ian Book's impressive performance, we discuss how this win and fast start could impact recruiting, we also discuss how Notre Dame recruiting has improved in their social media presence, and we offer up our defensive coaches season grades so far. To sign up for Overtime please click the link below, and then click on the red button on the right hand side that say "become a Patron." If you want to listen to today's show in this browswer, please click the media player below and the show will start to play.